In this holiday season, my topic for this installment of “Teaching Impact” is not quite gift giving but rather, if you will, persuading others to be generous and open in their gift giving. I will offer a “pitch” to program directors, department chairs, deans and provosts for recognizing scholarship of teaching and learning activity as valid and valuable scholarly activity. In my conversations with faculty across the United States, it is apparent that many professors, particularly tenure-track assistant professors, feel that taking time to write about pedagogy and the impact of pedagogical innovation is risky at best and career suicide at worst. Further, there is fear about conducting intensive service learning or community engaged teaching classes for the same reasons. The first rule of gift receiving is to be good; act so it is clear you deserve a gift. 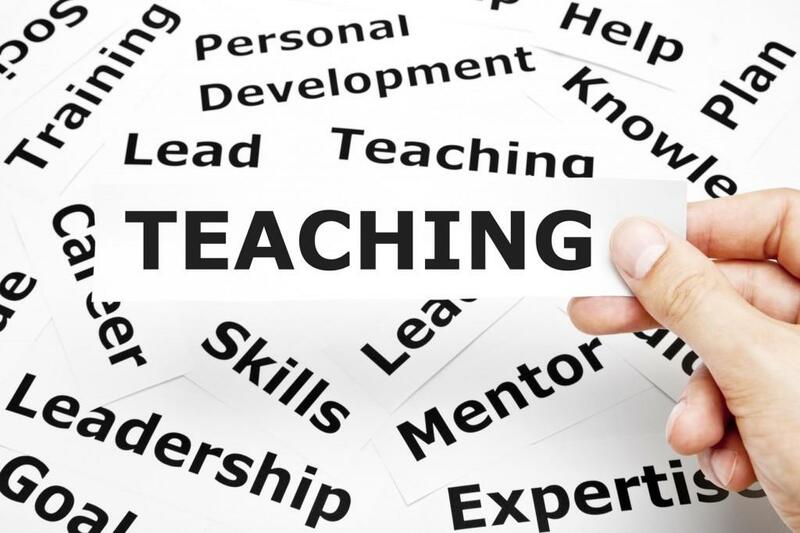 Simply stating the perceived normative benefits of community engaged teaching and service learning will not be sufficient to persuade the skeptics. You must prove the value of the enterprise through your own hard work and sacrifice. In other words, to persuade others that the institution should encourage the risk of pedagogical innovation requires that you first take the risk. This is a bit of a catch-22. This is true. However, you must also recognize and communicate that you are not a lone traveler wandering a vast wilderness. The path you are trying to blaze at your institution is well traveled by professors around the world, across disciplines and deeply within public affairs disciplines. For instance, take the example of Professor Colleen Casey at University of Texas (UT) at Austin, School of Urban and Public Affairs. She developed a service learning experience for her Public Organization Theory students in partnership with the Dallas Area Habitat for Humanity. The project put students in direct contact with citizens from neighborhoods and backgrounds that were considerably different from their own. As Casey notes, “exposing [students] to different types of neighborhoods and communities prepares them to be public service leaders.” One student, Sal Portillo, demonstrated this personal impact noting how the project “taught me community involvement, citizenship and civic responsibility.” Professor Casey collected qualitative data from the students throughout the class and is now preparing an article for publication. Learn more about this project, and some other exciting work at UT-Austin at https://t.e2ma.net/message/doomf/leey0. If you still are faced with skeptics after showing your own results, as well as the demand from the community for innovative pedagogy, and showing the examples provided by others, you can turn to the National Review Board for the Scholarship of Engagement. The National Review Board for the Scholarship of Engagement was created to review and evaluate the scholarship of engagement of faculty who are preparing for annual review, promotion and tenure. The board is composed of individuals who represent varied institutions of higher education and a wide range of disciplines, as well as the roles of program directors, vice presidents, vice provosts, presidents and tenured faculty. These members have been leaders in the institutionalization of community engagement, service learning and professional service. The review board members have committed to review and evaluate faculty portfolios for three years and have collaboratively engaged in preparation for the review process. Goals/Questions: Does the scholar state the basic purposes of the work clearly? Does the scholar define objectives that are realistic and achievable? Is there an academic fit with the scholars’ role, departmental/university mission? Context of Theory, Literature, Best Practices: Does the scholar show an understanding of existing scholarship in the field? Is the work intellectually compelling? Results: Does the scholar’s work add consequentially to the field? Does the scholar’s work achieve impact or change? Are those outcomes evaluated? Communication/Dissemination: Does the scholar use appropriate forums for communicating work to the intended audiences? Does the scholar present information with clarity and integrity? A professor who is championing innovative pedagogies and community engaged teaching must be prepared to be evaluated in very demanding ways and should propose to chairs, directors and deans the same. At the same time, professors must willingly accept, and communicate as such, the added burden of both doing “traditional” academic work while seeking to publish in teaching and learning journals, and for practitioner audiences. To learn more about these strategies and to meet fellow travelers on this path, I encourage participation in the 2015 Teaching Public Administration Conference, which will be hosted at Franklin University in Ohio from June 3 to 5. To see the call for papers and to submit a proposal, visit http://www.franklin.edu/TPAC. Author: Thomas A. Bryer is director of the Center for Public and Nonprofit Management and associate professor in the School of Public Administration at the University of Central Florida. He is the chair of the ASPA Section on Public Administration Education and is the author of Higher Education beyond Job Creation: Universities, Citizenship and Community (Lexington Books), and National Service and Volunteerism: Achieving Impact in Our Communities (Lexington Books). Contact him at [email protected].